Geidi Primes often feels as if Coco Rosie, Julianna Barwick, and Dirty Projectors have combined forces to create these wonderfully majestic and diverse soundscapes. Geidi Primes is music you’d expect to come bubbling up out of dark, dirty water. Perhaps Geidi Primes' greatest virtue is its resourcefulness: It excels at crafting evocative moods from deceivingly simple sonic materials and song structures. Blending genres like paints on a palette, the Montreal-based artist’s chameleonic approach sees her switch between oriental pop (‘Sardaukar Levenbrech’), chillwave (‘Zoal, Face Dancer’), and post-rock (‘Venus In Fleurs’) with attentive ease. 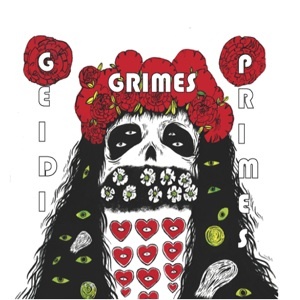 Geidi Primes is the rawest, least focused and, as a result, least accessible thing in Grimes’ quickly-growing catalogue of releases. Geidi Primes is a playful and pretty enjoyable lofi album with a great concept behind it. Purchasing Geidi Primes from Amazon helps support Album of the Year. Or consider a donation?